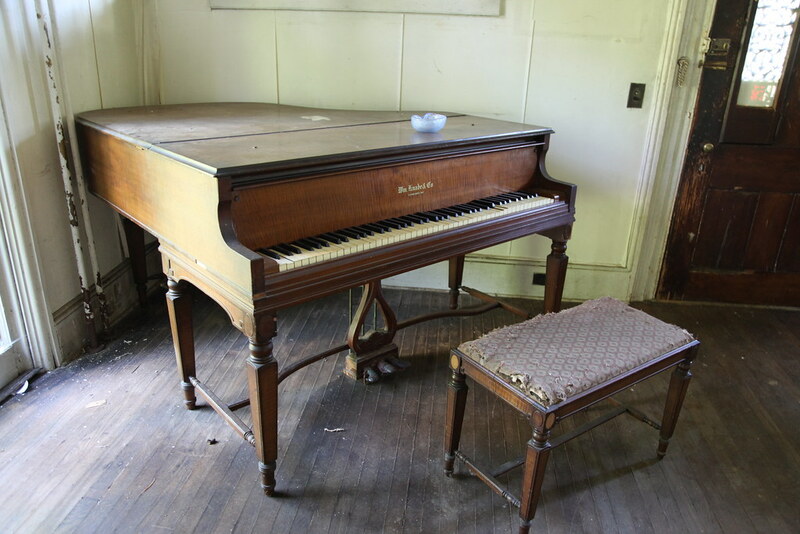 This is an extremely old William Knabe & Co. piano. Because the piano bears the mark of "Wm. Knabe & Co." it dates itself between 1855 and 1908 (although it would be fair to guess based on the construction and condition that this was far on the latter end of that range). It didn't play properly at all and likely would need significant re-conditioning, besides just a simple tune-up. The bench appears to be original as well.